When I got my iPod Touch, I immediately started looking for methods to root it, but never felt the need on my Android Nexus S, as I was already able to do pretty much anything including free-of-charge tethering (thank you T-mobile). The newest Android version (v4 or Ice Cream Sandwich, a.k.a ICS), has been announced a few weeks back and smart folks at xda forums have already managed to port the SDK version for my phone. Of course, phone needs to be rooted to flash the new rom. Although you probably have lots of your data like your contacts backed up to Google Cloud, there is no way you can keep 'all' your data backed up at this point and rooting wipes out your device. A couple of funny thing happened when I looked at rooting instructions. All of them tell you to make a full back up of your system, but you will be lucky if you find any instructions on what exactly to back up and how? Most of the tools mentioned want you to be rooted to begin with. It maybe possible to use Astro File Manager or 'adb pull' commands from Android SDK but the things you can do are limited 'before' you root. In fact, this is one of the reasons people root their phones because they would like to keep their 'data' when they buy a new phone (e.g. high scores in a game, or play lists in a music app...). At this point, applications may write their data anywhere as there is no 'designated' location to keep app data and therefore there is no easy way to back that data up even if it was possible for a user to access /data folder, which is 'usually' where apps write. There is a feature request on this but as of now, no solution. Anyway, the other funny bit is about an SDK tool named 'fastboot'. There are tons of material on web that tell you how to use it, problem is that latest SDKs do not have this tool. If you head over to Android SDK download page, you will notice that there is only a link to android-sdk_r15-windows.zip (i.e. revision 15). The last revision that had the 'fastboot' was r13 and there is no link to it. Hover over the r15 link, you will notice that it is pointing to http://dl.google.com/android/android-sdk_r15-windows.zip So, to download r13, simply replace 'r15' with 'r13' in the link and you should be able to download the r13 version. Once you download it, you can extract the fastboot.exe from 'tools' folder. In the current revision, Google has moved adb.exe from 'tools' folder to 'platform-tools' folder. You might want to put this one there too. One more thing. You need to install USB drivers on your machine. When you download SDK, you will be able to get the Google USB drivers for your device. The catch is that it won't work when you are in 'fastboot' mode (at least for Nexus S) if your windows is 64bit. You will then need to install PDANet drivers so that your Nexus S is detected. You can find those links here. Good luck! Btw, what do you get out of all this hassle? Here is a pretty good video from NexusHacks. 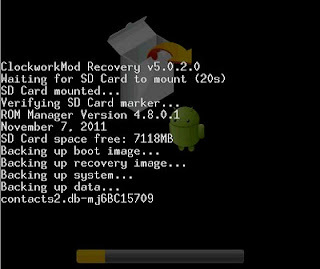 I finally found an easy to use hack to root my Nexus S without destroying/wiping any data (i.e. without unlocking the bootloader). I would like to emphasize this again, because I have read tons of so called 'guides' which seems to use 'rooting' and 'bootloader unlocking' interchangeably. If you are like me, you may want to understand why do you need to do these things mentioned in the 'guides' instead of blindly following them. There is a lot of mumbo-jumbo to confuse the hell out of a regular user like myself. So, I had to look deeper into whole Android boot process and architecture to make sense of it. Hope this helps others as well. As in any other unix/linux variant, your purpose is to become the most powerful user with no restrictions on your Android. I.e. you want to become 'root' or 'super user'. That way you can install any application or even a totally new Android system (e.g. 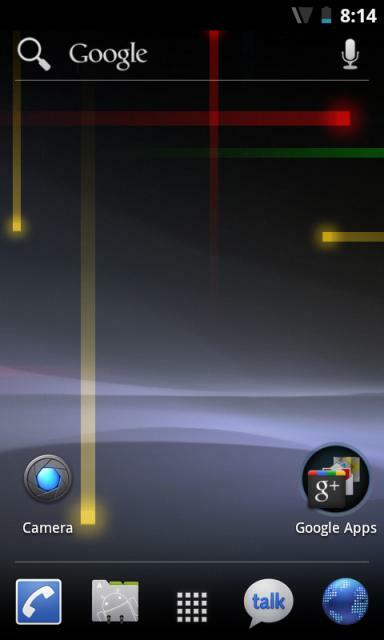 CyanogenMod). It's your device, your do whatever you like with it. Well, you wish! Android will not just allow a regular user to become root. From a security perspective, you really would not want that anyway. Imagine any software messing with your device? Yep, that would be malware. 1) You will need to find an exploit, as malware does. A hack, that elevates your privileges to become root. This is exactly what the 'zergRush Exploit' mentioned below does. 2) If there is no known hack, the other option is to go through steps in those rooting guides. Most of them will tell you that you will need to "unlock your boot loader". Why unlock your boot loader? Well, you are trying to become root in the Android Operating System but it does not allow you and boot loader is the software that comes "before" the (Android) Operating System. In other words, it's the initialization code that loads the (Android) OS and if you can mess with it, you can hack into that Android OS or replace it all together with a modified version perhaps. Bootloader has two stages. The first stage of the bootloader (also referred as 'IPL' or "Initial Program Load") provides support for loading recovery images to the flash memory of the device. If boot loader detects certain keypress (in Nexus S this would be Power button + Volume up), it goes in to a special mode called 'fastboot mode' where you can use 'recovery' option to flash a new (or old) image. From this point on you are on the second phase of the boot process. You may see acronyms like 'SPL', which means 'Secondary Program Loader' and refers to this second phase. This is also why you usually see instructions for manually installing OTA (Over The Air) update files where you are told to drop the update.zip file in the root of sdcard, and then turn your device on while pressing 'special keys' for your phone and choose 'recovery' option. Upgrading your firmware is basically flashing a new (firmware) image. However, we have a problem there. Usually, the boot-loader is "locked" so that it will load only recovery images that are signed by a certain authority. This might be Google or your wireless carrier. So, if we can unlock the boot loader, then we can use a 'custom recovery image' like ClockworkMod Recovery, which allows us to install a 'custom firmware' like CyanogenMod (a.k.a CyanogenMod ROM). As these ROMs may include not only Android OS but IPL/SPL as well, there is a risk of making your phone unusable, commonly referred as 'bricking' the phone in case there is a bug in the IPL/SPL code. I explained above how to get fastboot.exe. So you get that and other pre-reqs and then issue the command to unlock your boot-loader, which apparently voids your warranty and "WIPES YOUR DEVICE" including your SDCard. This method depends on DooMLoRD's Easy Rooting Toolkit v1.0, which is using what's called "zergRush Exploit". At the end of this, you get SuperUser v3.0.5(39) installed on your Nexus S. This exploit seems to be working with many other Android phones. There is a growing list in the forum linked above. It's also easy to go back if you want to unroot. This means I have root access on my Nexus S and my bootloader is still locked! What's next? * Install Backup Software: Now that I have 'root' access, I can now install all these 'backup software' mentioned on all those rooting sites. I installed 'Titanium Backup'. Then I took a full back up of the system to my sdcard, and then mounted the phone via usb to take back up of everything on my sdcard to my hard drive. * Install Rom Manager: This is to be able to 'flash custom ROMs (i.e. install customized Android versions). I installed 'Rom Manager' but have not done anything else yet. and /mir makes a mirror copy of everything in the sdcard (be careful with this option, if you use it incorrectly by specifying wrong target, you may wipe out the target). I am, however, not sure if these will be enough to get things back. See the update below for proper Backup/Restore procedures. Stock ROM is the original Android Image. Below, you will find how it tries to keep its integrity. "ROM Manager" > "Backup Current ROM"
got me into a black screen with a yellow exclamation mark and an android icon underneath. Apparently, "ClockworkMode Recovery" (CWM) was overridden by Stock ROM after the reboot. Boot loader had detected that it was tempered with and had restored previous version. This is pretty straight forward as I still have root access on my Nexus S.
Unfortunately, you get an error back. The reason is that /system partition is mounted as read-only (ro) and before you can make any changes to files under it, you will need to mount it as read-write (rw). For further reading on Android partitions, take a look at this post. Now we can go ahead and make the change. Then, we should go back to Rom Manager and flash ClockworkMod Recovery one last time and it should stick around between reboots. There is a long guide here explaining various options with screenshots but it's pretty basic. Select "ROM Manager" > "Reboot into Recovery" (for manual management). Phone will boot into ClockworkMod Recovery console. Use "Volume down/up" buttons to move up or down and "Power" button to select an option. As we wanted to take a full back up, we want to choose the option that says "backup and restore"
We then choose backup option and let the tool work its magic. In my phone, the process took about 10 minutes. There is a progress bar that gives some visual feedback and when all is done you get "Backup complete!" message at the bottom. This is quite straightforward as it is an option in the "ROM Manager" application. Select "ROM Manager" > "Backup Current ROM"
Enter a backup name, or tap "OK" to accept the suggested name. Phone boots into recovery mode and starts the back up process. After the backup is finished, phone boots back up. At the end of the day, all this effort is to be able to restore from a backup to get Android back to the original (Stock) state. After the reboot, Nexus S came up and kicked off Google's Welcome Wizard. I skipped it and there it was. My Nexus S as if I just bought it. The only difference was that SuperUser app was still there. Tapped "Manage and Restore Backups"
Android came up and everything was restored successfully as if I never wiped my phone! It was perfect. Well, too perfect in fact because apparently I had not renamed "/system/etc/install-recovery.sh" before taking the latest backup. So, after the restore ClockworkMod Recovery was gone, but it only takes a minute to get it back there. Here is a very detailed, thoughtful article from security researcher Dan Rosenberg on "Rooting and Plagiarism". It helps put things into context.